Narcos is an American crime drama web television series first aired on August 28, 2015 via Netflix. It deals with the life of drug kingpin Pablo Escobar, who became a billionaire through the production and distribution of cocaine. The title of the TV series is in the poster is probably set in Akzidenz Grotesk Medium Condensed. For a free font similar to this narrow grotesque sans serif, you can check out Antonio Regular designed by Vernon Adams. The Antonio font family is available in three weights and you can download it for free here. If you do not want to download and install the font but just like to create simple text or logos using Narcos (TV show) Font, just use the text generator below. 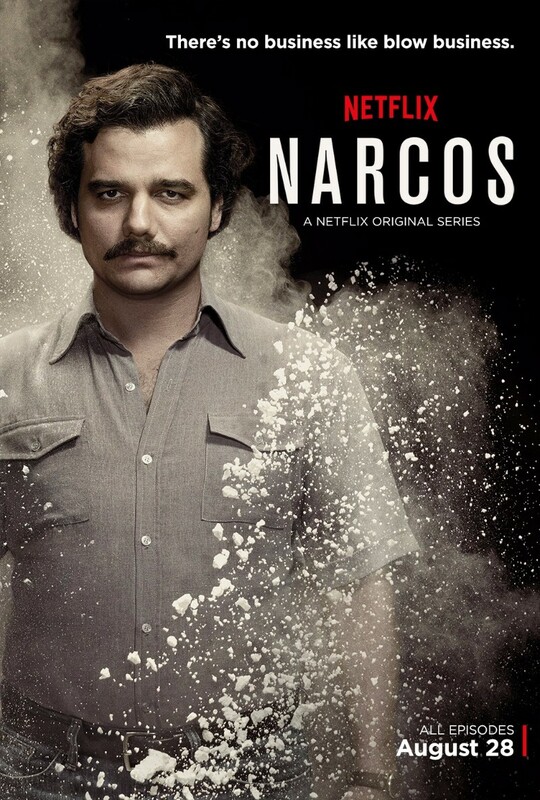 The following tool will convert your entered text into images using Narcos (TV show) Font, and then you can right-click on the image to save it or click on the "EMBED" button to get links to embed images on the web.